Maru Koala Park is at Grantville on the Bass Highway, about 90 minutes from Melbourne, and 15 minutes from Phillip Island. 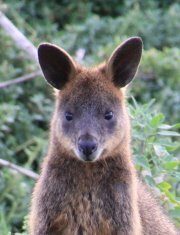 If you want close encounters with native animals this is the place to visit! Maru comprises a fauna park with native Australian animals as well as a pirate-themed mini golf course. The park began in the 1980's as a craft shop. As business increased animals were introduced until it became the popular destination fro viewing wildlife that it is today. The entire fauna park is wheelchair and pram friendly – perfect for families. 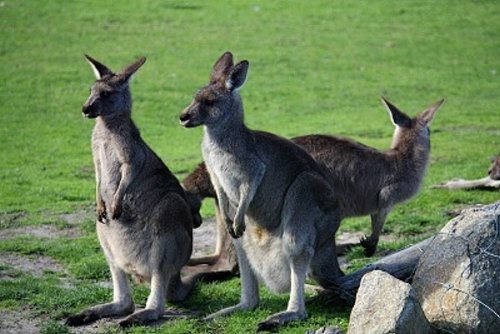 In the fauna park you will meet koalas, kangaroos, Tasmanian devils, wombats, dingoes, snakes and lots more. Information boards give interesting facts about each creature. Food can be purchased to feed the kangaroos and wallabies while, for an extra fee, you can pat animals such as dingos and koalas. To cuddle a koala is an amazing experience with these iconic creatures - one of the most recognised of Australia's native animals. For an extra fee, a guided tour into the koala enclosure gives visitors the chance to cuddle, pet and photograph these gorgeous animals. General admission visitors can see koalas up close from the elevated walkways. To get the most out of your visit, listen to the keeper’s talks, given on every hour between 10.00am and 3.00pm. Check for the schedule of talks during school holidays. When we visited we joined in on a talk about snakes. These creatures send shivers down my spine so I declined the opportunity to have a python wrapped around my shoulders! 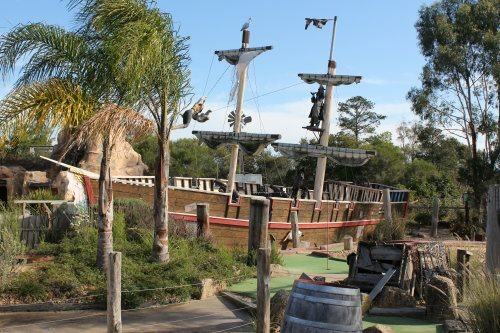 Part of Maru Koala Park is Pirate Pete’s Mini Golf is an 18 hole adventure around the Princess Caribbean Pirate Ship and pirate territory – be careful, you might come across a pirate or two! Every year in March or April partake in the Pirate Festival with lots of pirate-themed games and activities. 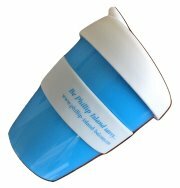 Relax in the licensed bistro where you can buy breakfast, light lunch, snacks or full meal.